LED PinFin Heat Sink ø35mm x H30mm; Design for Spotlight and Downlight 200~600lm; Rth 11.1°C/w; Suitable for 3w/4w/5w; Self-taping hole or custom mounting holes for Zhaga book 3 and book 11 LED modules; Standard finish-Black anodized. MINGFA carefully selects quality raw materials. Production cost and product quality will be strictly controlled. This enables us to produce led light housing which is more competitive than other products in the industry. 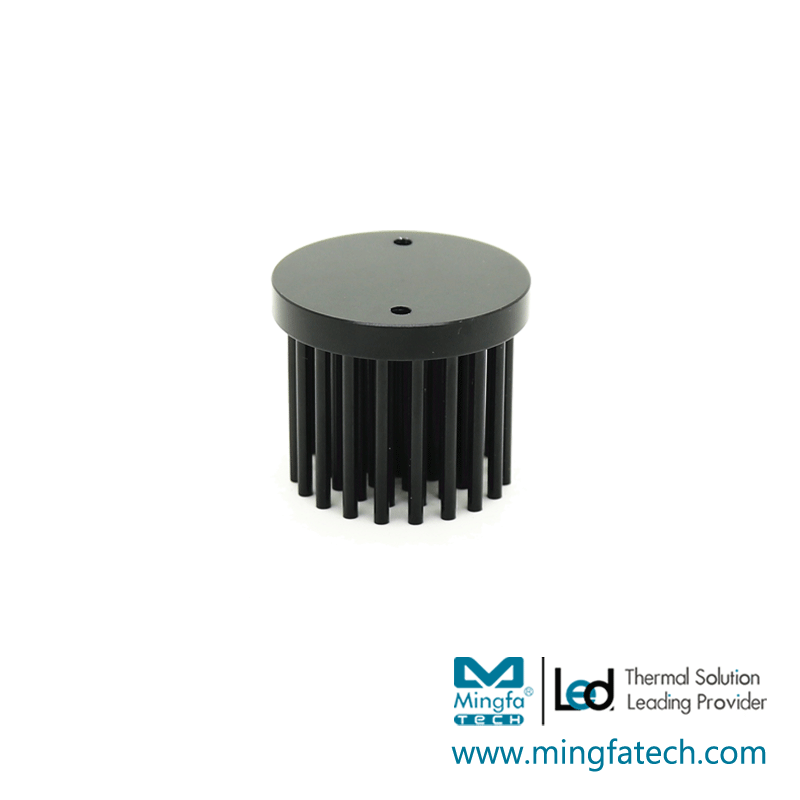 It has advantages in internal performance, price, and quality.MINGFA produces led heat sink in strict accordance with national and related standards. To effectively guarantee the good quality, we inspect all equipment before shipping. We provide a worry-free buying experience for customers.Compared with products in the same category, MINGFA's led light housing has the following outstanding features. Compatible with more than 20+CoB brands, Covering almost 100% of modules. 1. As an internationally competitive company, MingfaTech Manufacturing Limited has a large factory to produce thermal heat sink. 2. 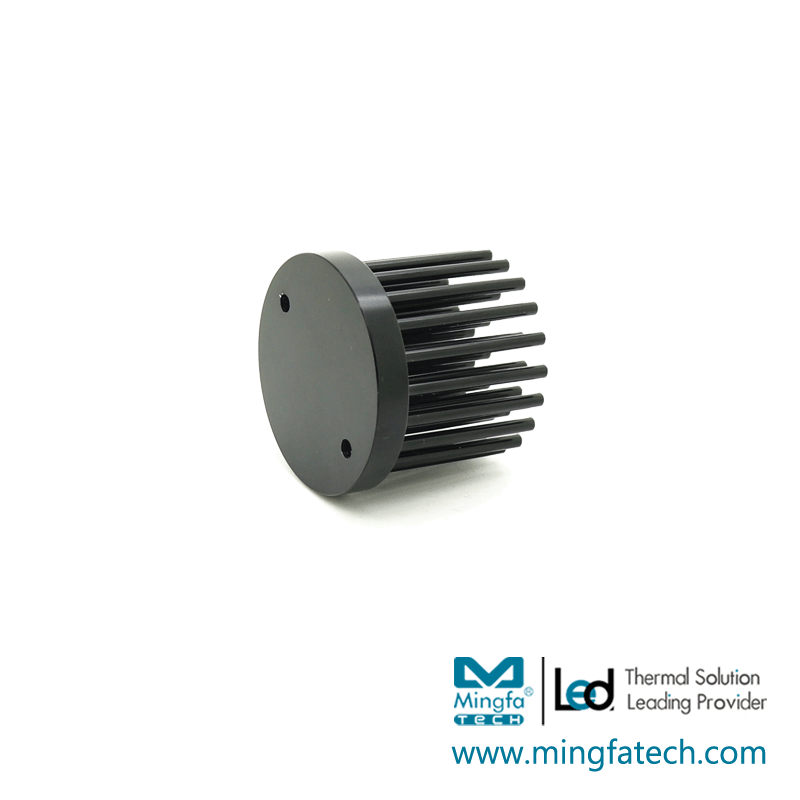 Mingfa Tech takes the dominance of heatsink aluminium market because of the high quality led light heat sink and considerate heat sink online india. 3. The whole set of service for our circular heat sink include heat sink price. Get more info!